If you haven’t noticed yet, I have somewhat of an obsession with burgers, patties, balls, and anything that comes into a similar shape! 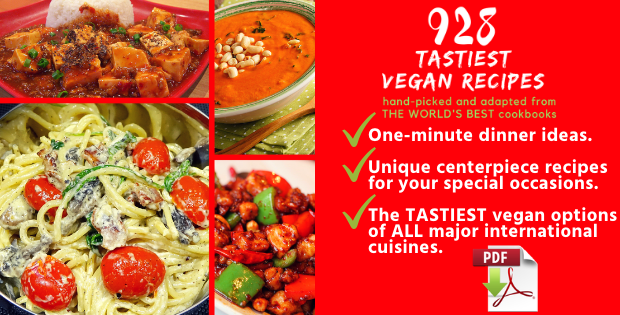 Unless you live in a small town or country, where vegan options are limited, you are most likely spoiled for choice of store-bought meat substitutes. Yet, I always feel like cooking your own food is the best option, not only because you know exactly what you are putting in it. You are saving money, eating fresh ingredients, and helping the environment by not buying one more packaged item! As I oftentimes say, I always find a shortcut to simplify something that sounds like a lot of work and make a culinary creation that’s unbelievably delicious, without being time-consuming. 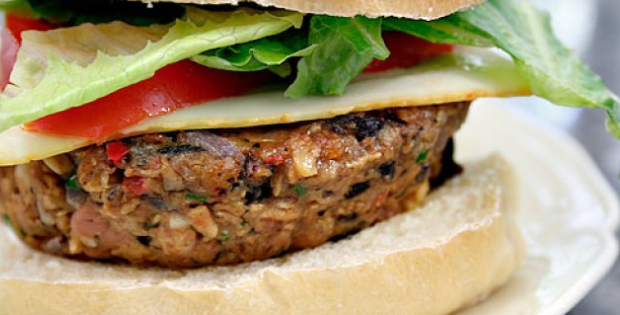 These homemade vegan soyburgers are exactly that! Mix well. The batter should be quite stiff. To make patties, roll mix into a small ball larger than a golf ball but smaller than a tennis ball. Then flatten the ball to 1/2 “ thick. Fry in a generous amount of oil so they’ll be crisp. Thin patties make better burgers because they stay crisp – thick patties don’t get done so well in the middle. This recipe is one of 808 tastiest picks.